Playing Guitar Hero and Rock Band is fun, but there’s not a lot of real musicality about it. It’s something of an approximation of playing a real guitar. The You Rock Guitar, changes all that. 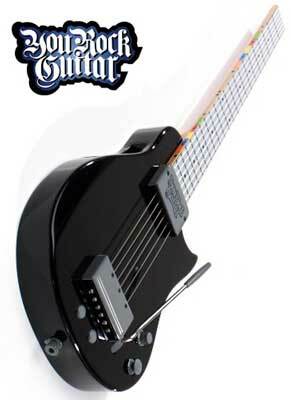 Yes, with the addition of a Game Flex cartridge (purchased separately), the You Rock Guitar can have you playing Guitar Hero or Rock Band on PlayStation 3, Xbox 360 and Wii video game consoles. Just like the controllers that are included with video games, the guitar neck is detachable for easy transport. But you can also use it as a real guitar, with strings that don’t need tuning. 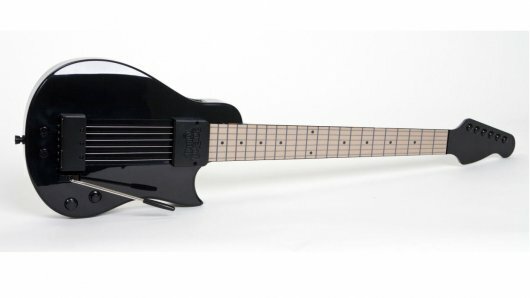 Either just to plug into an amp and play, into an iPod so you can accompany your songs through headphones, or into a computer to function as a MIDI device, complete with a wide range of effects – such as guitar & synth, drum sounds, Ricky 12 string, Strat, synth organ, and many, many more. You’re also able to use the You Rock Guitar as a teaching system. For instance, you can fire up ‘You Rock Mode’, and learn to play the blues in A. In Mode 1 if you miss a note it will make a sound much like when players miss a note in Rock Band, in Mode 2 that scraping sound is removed. 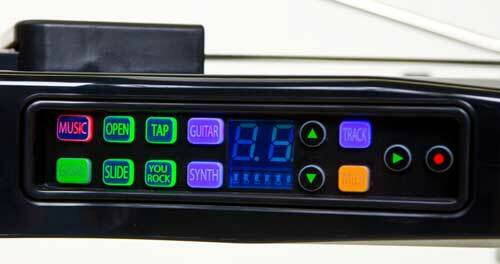 Watch this seven minute video to get an overall look at everything the You Rock Guitar can do. The voiceover might be cheesy, but what the device can do is pretty impressive. The You Rock Guitar can be purchased online at the ThinkGeek website – click the graphic below to go to the online store. The You Rock Guitar has a list price of US$219.99, though at the time of writing it is on sale for US $199.99. The Game Flex cartridges that enable you to use the You Rock Guitar as a videogame controller have a list price of US$24.99, they too are on sale at the moment for $19.99. Also available are carry bags, picks and headstocks. Next ArticleThe NBN – why we need it. Now!